A beach cottage offers an escape from reality. It’s a place for quality time spent with loved ones, fun in the sun, and relaxation. Of course, the design of such a place should enhance the experience, creating a soothing sanctuary away from the demands of everyday life. 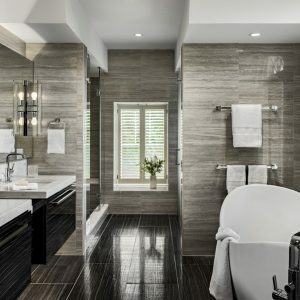 That’s exactly what we did when we transformed the master bathroom of a 1950s beach cottage into an open, contemporary, and all-around luxurious retreat. All great homes begin with a vision. 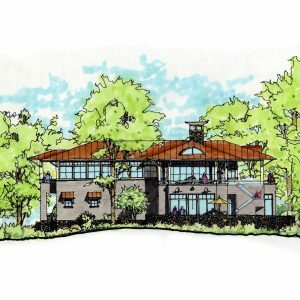 When we begin working with a new client, one of our first and most important steps in the process is to translate their ideas and wishes into a visual rendering. This allows everyone involved to really get a sense of what the proposed design will look like, make any necessary adjustments, and decide on a design that’s just right before moving forward. From grand custom houses to luxurious interiors, our team can do it all. 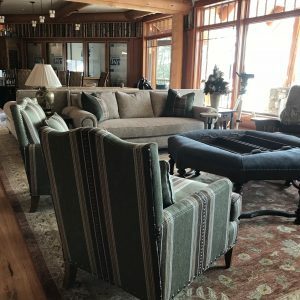 Take a look inside a recent interior design project, in which we redecorated our client’s lake house great room to match the arts and crafts style of the home. We are thrilled to announce the appointment of two new principals to our ownership group. Jason Bailey, project architect, and Timothy Giguere, project architect, join Shannon Alther and Robert Carty as principals of the company following their promotions. The move is a product of strong growth in our company’s clientele base and a desire to exceed service expectations within the industry. 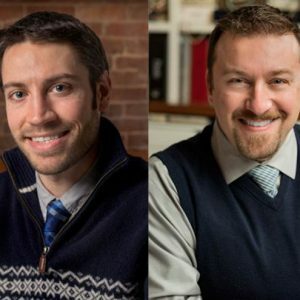 Jason Bailey began his career with TMS Architects as an intern in 2001 while studying architecture and building engineering technology at the Vermont Technical College. Bailey holds a Bachelor of Architecture degree from the Boston Architectural College and has been instrumental in leading a broad range of projects for TMS with the use of sustainable building technologies and products. Timothy Giguere has 18 years’ experience in the field working with TMS Architects as a project manager and architect. Giguere holds a Masters of Architecture from the Boston Architectural College and his background in technology has helped TMS to spearhead numerous innovative and efficient design programs within the production department of the company’s operations. 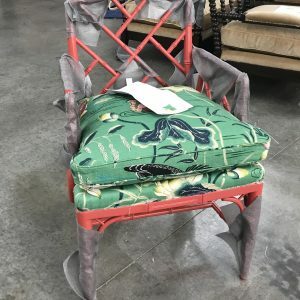 During our annual trip to the High Point Furniture Market this year, we got a private tour of a family owned upholstery factory to see how the items are built first hand. We have worked with this manufacturer before and were excited to see what goes on behind the scenes. We were able to see exactly where our selected fabrics arrive and how they are applied to the selected items throughout the assembly line. The employees take great pride in the quality of craftsmanship they put into each piece and were happy to show us how the items are made step by step. Summer is here. Brilliant blues abound; crystal skies, fragrant flowers, and of course – the sea. From 4th of July to days “upta camp,” all of New England is preparing for her greatest season as a regional gem. 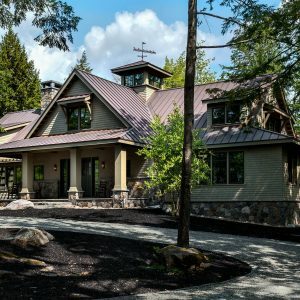 Vacationland, crisp air, and smoky evenings of glittering stars by the water. The imagery never ends. But there’s a certain imagery that can become a part of your home, all year round: classic waterfront architecture. 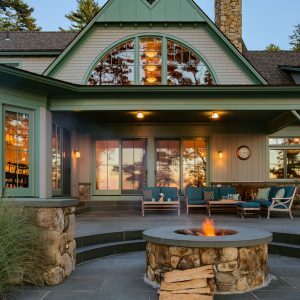 With a few touches or even full renovations, your exterior can have you dreaming of gorgeous summer days, no matter the season. It may feel like a jinx to even think it, but May has arrived and spring might just be here to stay. While there may be countless jazz sounds of springtime in Paris and poems of springtime in New York City, all who have ever been know there’s no place quite like New England in spring – and for anyone who’s been up the coast, no place in New England quite like Portsmouth. Striking architecture, thriving culture, and that kiss of salt air make it a destination all year round. But in spring, as the tree-lined streets are covered in blossoms and a hint of bright blue summer skies is just beginning to tease, our historic city truly thrives. Create your favorite memories for the season with the best events in town! Every house has rooms that live as the center of excitement: the living room, with its vibrant fireplace and sweeping view. The master suite, with its sumptuous comfort and unique textures. Even the bathroom, with its endless possibilities for relaxation and revitalization. All of these fun, enjoyable spaces can soak up all gleams of glamour in redesign and renovation; creative instincts lend themselves to things based in desire rather than pragmatism. The same is true when rebuilding for sustainability: water-saving fixtures in the bathroom, solar heating for the bedroom, double-sealed windows for the living room. Amongst all of these places – unless you’re a chef, of course – the kitchen is forgotten until the cupboards are simply too heinous to be looked at anymore. But before that moment hits, the kitchen’s renovation lives as the frightening undertaking, the one too overwhelming to even consider unless absolutely necessary. To do so in the pursuit of environmentally-friendly living may seem even more exhausting. But with just a few adjustments, the true heart and gathering place of your home can become one that exists sustainably for years to come. Appliances are generally first on any hit list for a kitchen. It’s the thing people dream about when house hunting, and it’s the thing least likely to compromise in a design. Naturally, sustainable design calls for appliances designed sustainably, but it can be far simpler than that. Consider the needs of your home in every sense: how much cooking do you do? How much space do you have? How much food do you really need for your family? Scale your appliances accordingly – there is no point in paying an electric bill to cool a refrigerator that’s always half empty, or one filled with food that’s partially forgotten until thrown away. From washing machines to dishwashers to fridges, most European homes have compact machines for this exact reason, while most homes in the United States buy machines designed at an unnecessary size. Using energy-efficient appliances can be brilliant, but they need to be used efficiently, too. 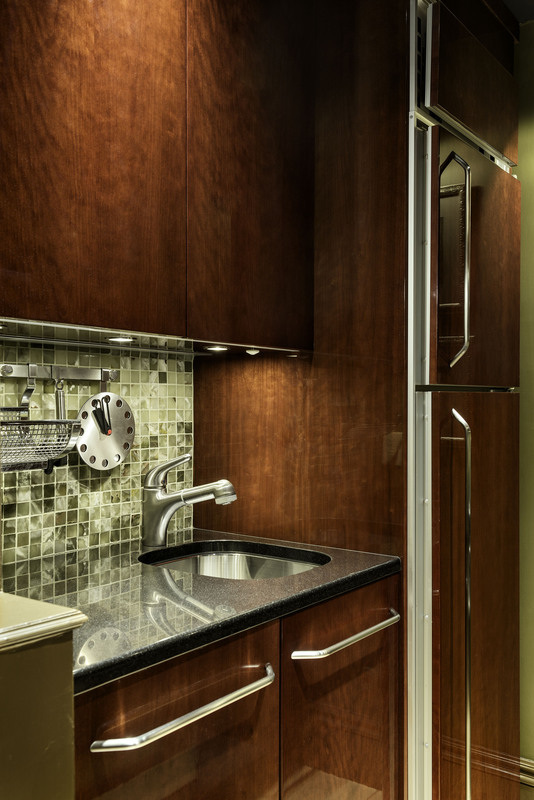 Custom cupboards always add an effortless elegance to any kitchen. Lines masterfully intended for your own space, finishes artfully created for your own taste; with such specific design, the room can’t help but become a thing of comforting beauty. Of course, there’s an additional pleasure in hiring local craftsmen: getting to experience their process, support their work, and engage in the community. But by simply sourcing local timber for your project, you can elevate a gorgeous design with wonderful execution to being a sustainable one. Much like appliances can be energy efficient, but also just efficiently used less, the primary concept of sustainable design is finding ways to allow less to do more. One of the simplest is also one of the most satisfying kitchen aesthetics throughout history: reflective surfaces. Shining whites, sparkling stainless steel, glittering marble; their luxurious glows aren’t solely about appearance. They’re popular in kitchens for their clean lines and sun-soaked appearance, but like most things, they serve a dual purpose. 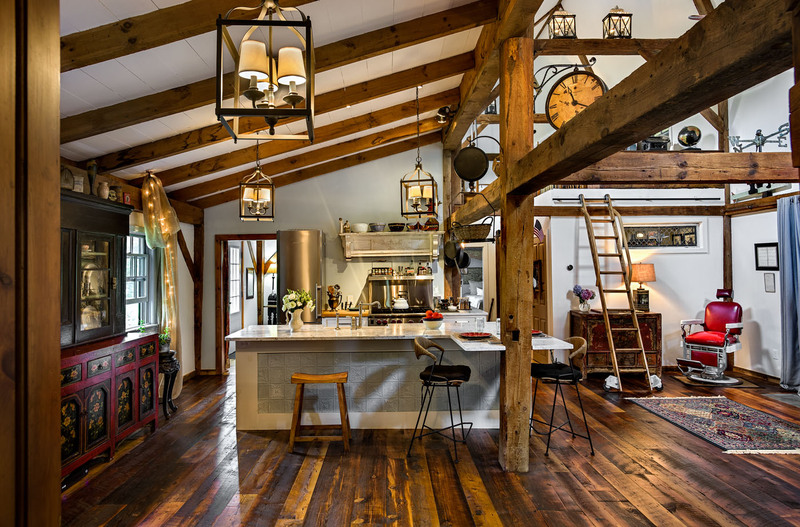 Those shining, sparkling, glittering tendencies also allow less electricity to be used in lighting a space by accentuating its natural light – a trick your great-great-great grandparents likely used, and one well worth stealing when designing a lovely, eco-friendly home. There’s reducing, there’s reusing, and of course – there’s recycling. But this isn’t just about plastic bottles. Some of the most divine materials in contemporary interior design are currently made from recycled goods from textiles to floorboards, countertops to faucets. If such literal recycling seems too much of an overhaul for the renovation you had in mind, a quick visit to your favorite local antique shop could reveal another kind of recycling in the form of fabulous fixtures and to-die-for details. If the hope is simply to renovate your kitchen in a stunning fashion, that effort itself can be done sustainably. Rather than replacing everything, examine what can be refurbished, reshaped, and redone: in essence, what can be salvaged. 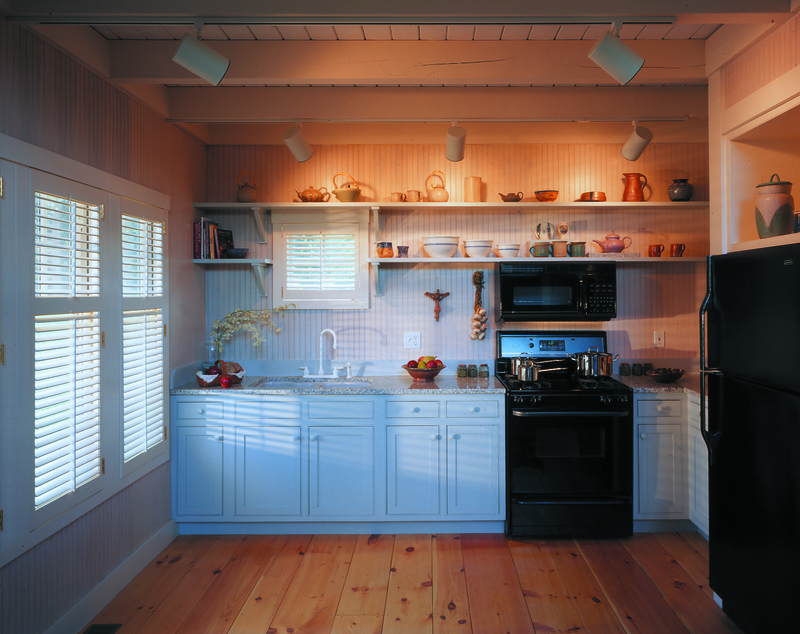 The original structure of your kitchen might be a work of art, merely buried in poor glosses and bad paneling. Even its original features might have marvelous facets, with more character than any modern cabinet or kitchen island could hope to have – if only you have the patience to strip away that paint and oil those hinges. Any renovation or construction is overwhelming, in any home. A renovation that involves putting the place that makes your food out of commission may feel impossible. But whether you’re renovating the ancestral home or building the one that will last for generations, the best way to preserve its potential from present to future is to give it a sustainable foundation and environmentally-friendly structure. 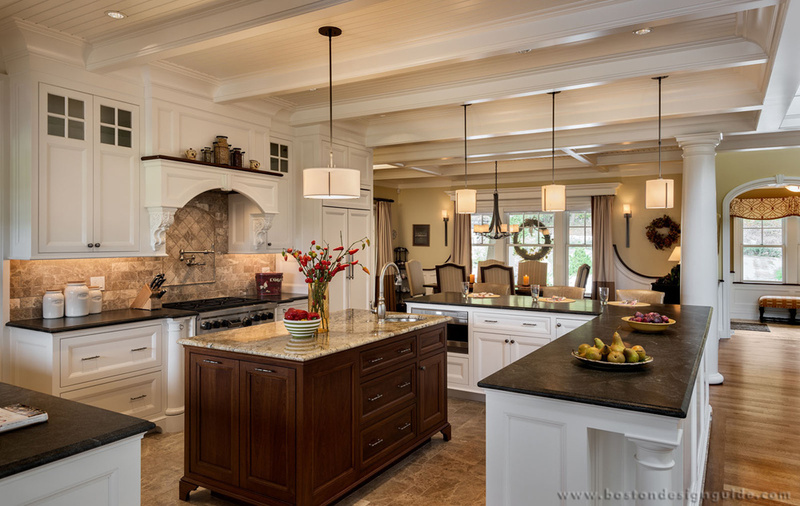 While its pragmatic purpose may often leave it shuffled to the bottom of your design dreams, revitalizing your kitchen is an investment in the real center and showstopper of your house to create a home that will last for every one of all those years to come.